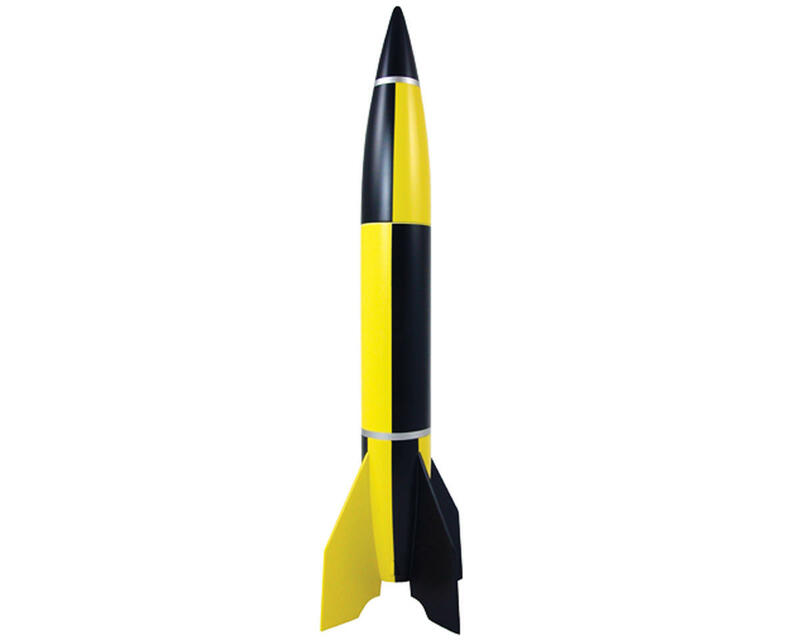 This is the Estes V2 Semi-Scale Model Rocket Kit. Awesome is the only word that describes this kit! 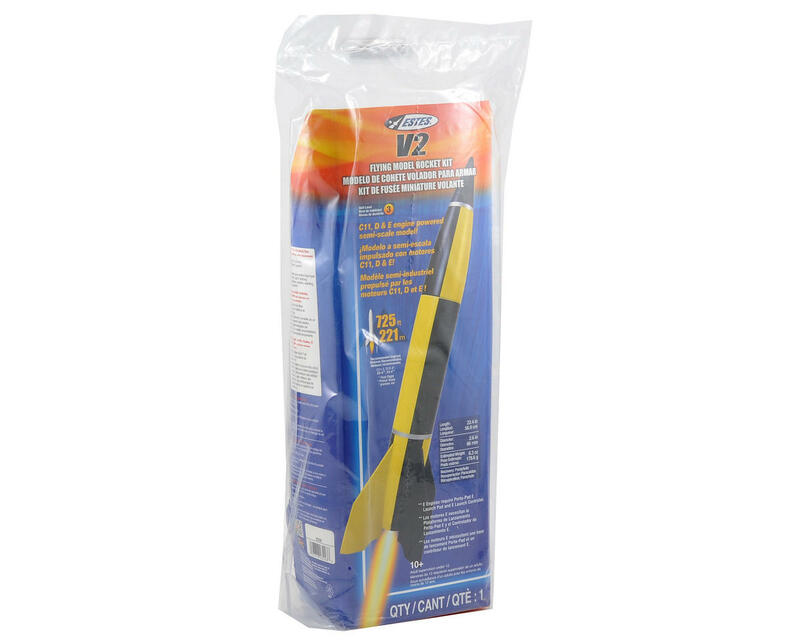 Powered by C11, D and E engines, the V2 is a must have for any rocket enthusiast. Standing 22.4 inches tall and when powered by an E9 engine, this rocket can soar over 700 feet high and a great color scheme makes the V2 easy to see in the sky.